?? 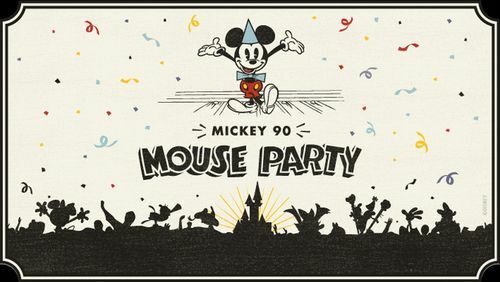 Discover in advance the program of the 4th Annual Pass Night: Mickey 90 Mouse Party! Mickey & Minnie are happy to welcome you to kick off the festivities! Rehearse with Goofy a surprising choreography and be real Mouseketeers! Join this extravagant party with Mickey’s guests. 0:15 am – Main Street U.S.A. Sing and dance at this great festive finale: Mickey and his friends are waiting for you to blow the candles! Privileges Shopping Day in preview! Get discounts on your purchases tonight upon presentation of your Annual Pass! See conditions in shop. Queues for attractions and meet’n greets may be interrupted before the specified end time based on the number of people already in the queue. Disney Characters will not sign autographs during the evening. So that a maximum of participants can access the meetings, you will be able to take 1 personal photo and our Disney PhotoPassTM + photographers will also take one. We thank the groups to prepare in advance to take their photos. People holding an orange or green access card benefit from easy access and are invited to meet the Cast Members present at the meet’n greets. Shows, entertainment and services offered may be modified, delayed or canceled without notice, particularly in case of adverse weather conditions or insufficient security.